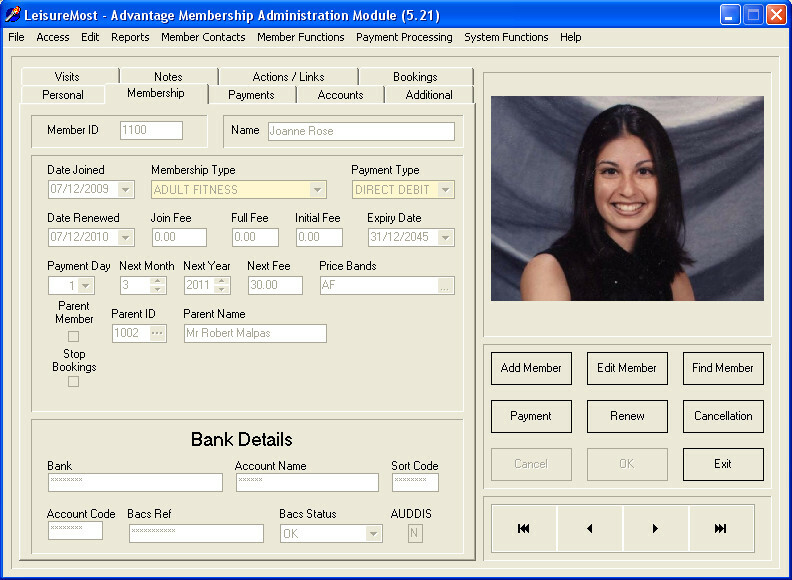 Our Membership Management Software is a powerful yet easy to use tool for the administration of your leisure centre or sports club. 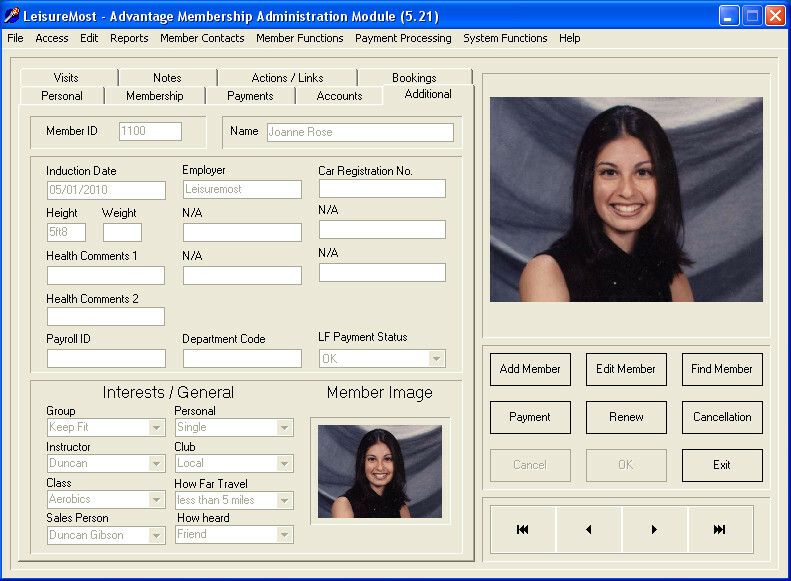 The system can hold any number of members and membership types, along with their associated access times. 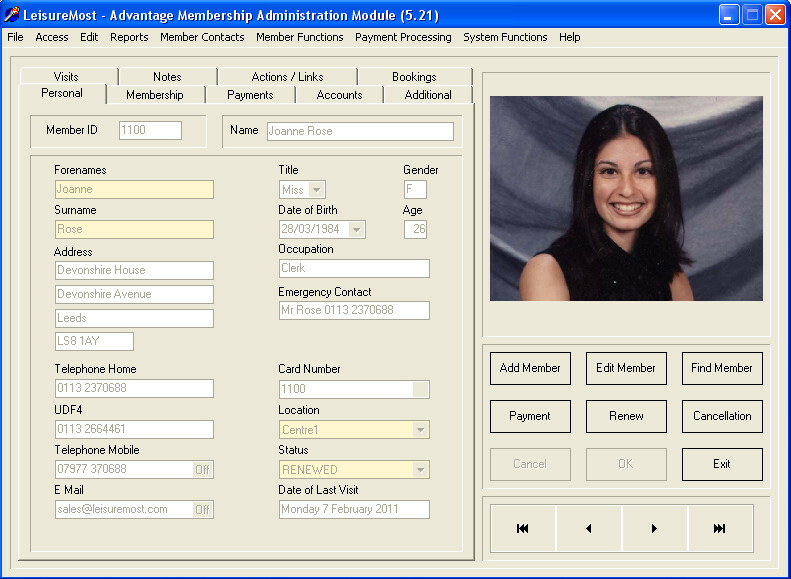 Personal details, visit history and account information can be viewed as well as user definable data fields. You can also capture an image of the member and print off bespoke membership cards. The dynamic membership reports tools allow you to view, print and export reports or mail merge specific groups of members. Seamless integration with BACS allows Direct Debit and Standing Order payments to be collected effortlessly. Our partnership with The Leisure Finance Group has enabled customers of Leisure Finance to import payment details with a click of the mouse. 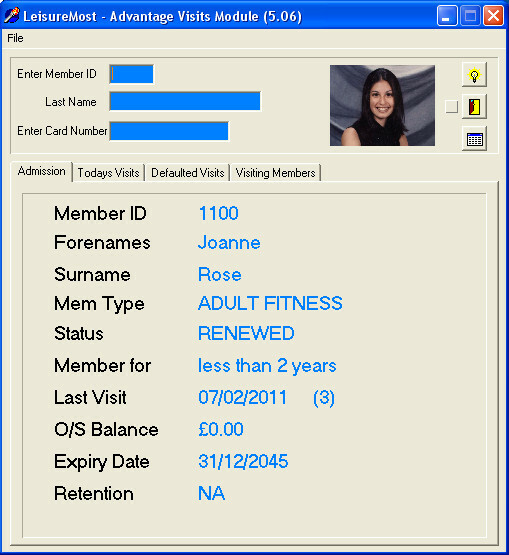 Record member visits using the Visits module which will show each visiting members image, details, membership status and any optional message as they sign in. A range of card types are supported and the system can be configured to control door or turnstile access.